What is combined heat and power (CHP)? An efficient and clean approach to generating electric power and useful thermal energy from a single fuel source. CHP is used either to replace or supplement conventional separate heat and power (SHP). Instead of purchasing electricity from the local utility and burning fuel in an on-site furnace or boiler to produce thermal energy, an industrial or commercial facility can use CHP to provide both energy services in one energy-efficient step. o CHP involves the recovery of otherwise-wasted thermal energy to produce useful thermal energy or electricity, configured either as a topping or bottoming cycle. o In a typical topping cycle system, fuel is combusted in a prime mover such as a gas turbine or reciprocating engine to generate electricity. Energy normally lost in the prime mover’s hot exhaust and cooling systems is instead recovered to provide heat for industrial processes, hot water, or for space heating, cooling, and dehumidification. o In a bottoming cycle system, also referred to as “waste heat recovery,” fuel is combusted to provide thermal input to a furnace or other industrial process and heat rejected from the process is then used for electricity production. Why is CHP more efficient than conventional electricity generation? CHP is a form of distributed generation, which is located at or near the energy-consuming facility, whereas conventional generation takes place in large centrally-located power plants. 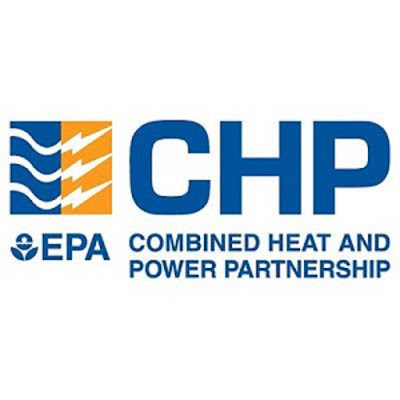 CHP’s higher efficiency comes from recovering the heat normally lost in power generation or industrial processes to provide heating or cooling on site, or to generate additional electricity. CHP’s inherent higher efficiency and elimination of transmission and distribution losses from the central power plant results in reduced primary energy use and lower greenhouse gas (GHG) emissions. Is CHP widely used in the United States? 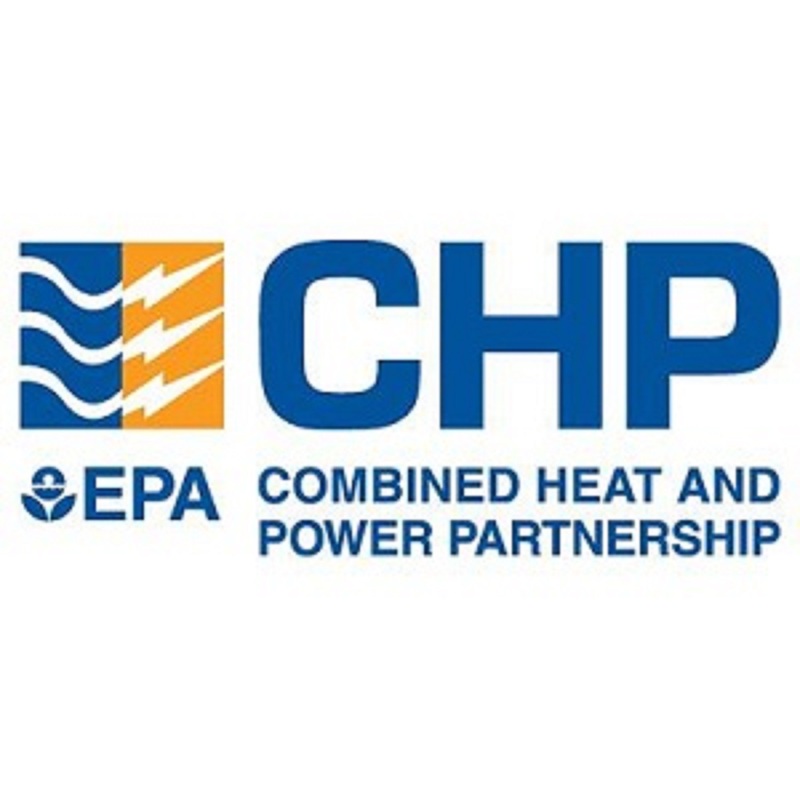 · The existing 82 GW of CHP capacity at almost 3,600 facilities represents 8 percent of current U.S. generating capacity and 12 percent of total electricity generated. · CHP is used in every state, and is primarily found in areas with high concentrations of industrial and commercial activity, high electricity prices, and policies favorable to CHP. What kinds of facilities use CHP? CHP can be utilized in a variety of applications that have significant electric and thermal loads. Eighty-eight percent of existing CHP capacity is found in industrial applications, providing electricity and steam to energy-intensive industries such as chemicals, paper, refining, food processing, and metals manufacturing. CHP in commercial and institutional applications is currently 12 percent of existing capacity, providing electricity, steam, and hot water to hospitals, schools, university campuses, hotels, nursing homes, office buildings and apartment complexes. Ø CHP reduces energy costs for the user. Ø CHP reduces the risk of electric grid disruptions and enhances energy reliability for the user. This is particularly useful for hospitals, research institutions, or industrial facilities where electric power outages are particularly disruptive and costly. Ø CHP provides predictability in the face of uncertain electricity prices. What are the benefits of CHP for Your Community? o CHP reduces emissions of GHGs and other air pollutants by as much as 40 percent or more. o CHP consumes essentially zero water resources in generating electricity (a typical coal fired power plant consumes 0.2 to 0.6 gallons of water per kWh). o CHP offers a low-cost approach to adding new electricity generation capacity. o On-site electric generation reduces grid congestion and improves the reliability of the electricity distribution system. o CHP defers the need for investments in new central generating plants, transmission and distribution infrastructure, helping to minimize increases in electricity costs. o CHP uses highly-skilled local labor and technology.